Gelish recently released Trends, a line of soak-off gel-polish inspired by current fashion on the runways and in look books. Gelish recently released Trends, a line of soak-off gel-polish inspired by current fashion on the runways and in look books. 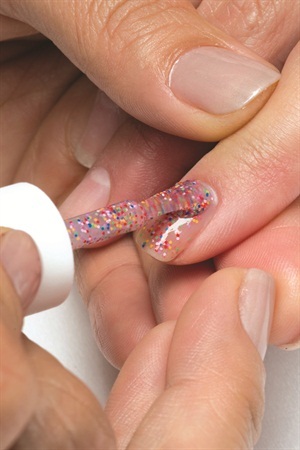 The gel-polish can be used to create nail art and act as a top coat, an overlay, or a stand-alone product. Here MaeLing Parrish, Gelish’s U.S. Dean of Education, uses a dabbing technique with Gelish Trends’ Lots of Dots to create a multi-dimensional layered effect. 1. 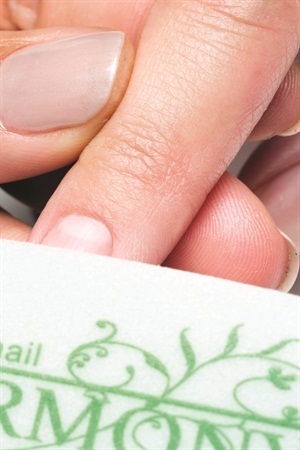 Shape the natural nail, push back the cuticle, and remove any non-living tissue from the nail plate. Using a 180-grit buffer, remove the shine from the nail plate, and then remove the dust with Gelish Nail Surface Cleanse and a lint-free wipe. Apply a thin coat of Gelish pH Bond. 2. 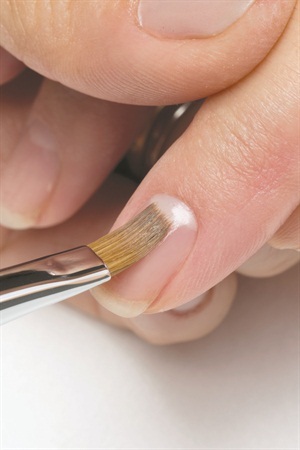 Apply a thin coat of Gelish Foundation Base Gel to the entire nail and cap the free edge. 3. 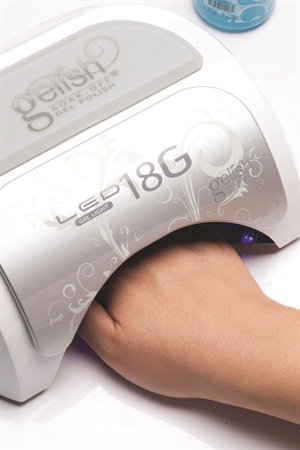 Cure in a Gelish 18G LED light for five seconds (or one minute in a 36-watt UV light). Using a clean, dry gel brush, wipe the surface of the cured foundation to remove excess tackiness. 4. 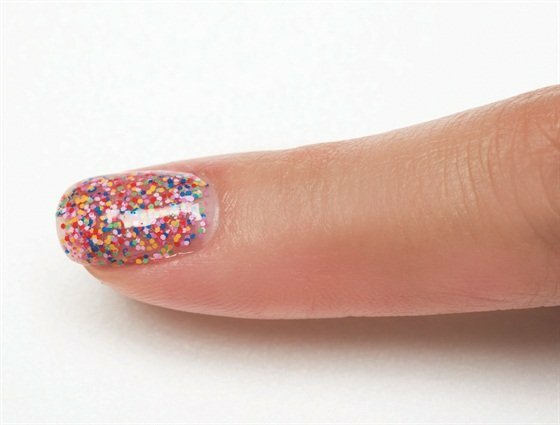 Using the Gelish Trends of your choice (Lots of Dots is shown here), apply a coat of the product from the cuticle to the free edge. Cure for 30 seconds (or two minutes). 5. 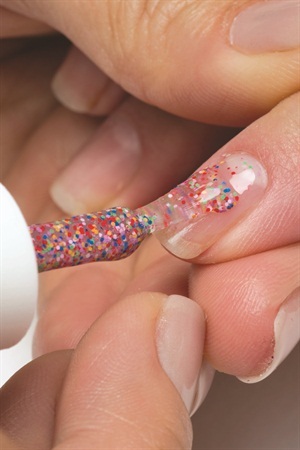 Apply a second thin coat of Gelish Trends from the cuticle to the free edge, using a dabbing motion to distribute the dots. Cure for 30 seconds (or two minutes). 6. If desired, apply a third coat for enhanced coverage using a dabbing motion again to distribute the dots. Cure for 30 seconds (or two minutes). 7. 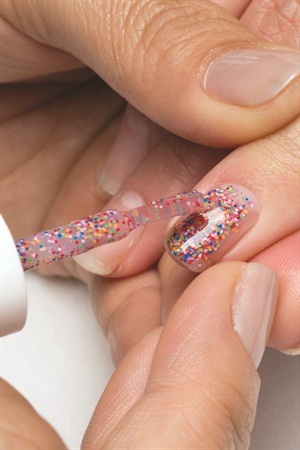 Apply a coat of Gelish Top It Off to the entire nail, capping the free edge. Cure for 30 seconds (or two minutes). Remove the tacky layer using a lint-free wipe and Gelish Nail Surface Cleanse. 8. 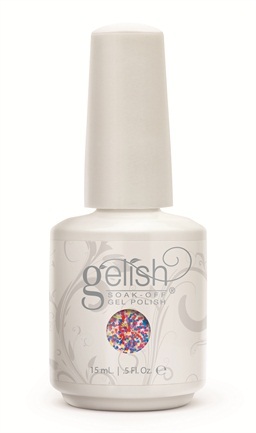 Apply Gelish Nourish Cuticle Oil and Massage it into the nail plate. For more information, go to gelish.com.